I cleaned my storage under my bath recently. I found some expired products and some empty bottles. The first three products have expired. Detergent Cinderella for metal cleaning 250 ml Bottle. This was expired. I used it to clean my kitchen sink. I like cleaning products from that company. MA-FRA Flash Cleaning Car Interiors. I used this co clean carpet in my kid room, but as he does not have carpet anymore, I do not use it. also expired. 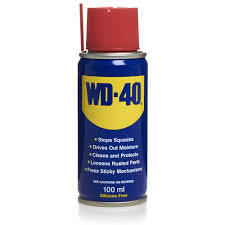 Aerosol grease WD-40, 100ml. I use this product to grease the hinges of my doors and cabinets, but as I have another and this one is expired I am getting rid of it. Floor Cleaner Cinderella, 500 ml. Cinderella "To clean the floor" quickly washes away dirt and grease, leaving no streaks. Does not require rinsing. It is intended for cleaning and deodorizing the floor (tile, tile, linoleum, etc.) and various surfaces - kitchen cabinets, tables, surfaces of household appliances, as well as sanitary ware. Symphony Air Purifier - 300cm3 pet odor Eurocurrent. I do use this to refresh clothing I am shipping out if they have been in storage for way too long. Silan Soft & Oils Concentrated fabric softener Inspiring Orange Oil. The product name is legally regulated: A concentrated liquid for fabric softening. Storage: Shelf life: 24 months from the date of production stated on the packaging.